Female musk ox at the Musk Ox Farm in Palmer, Alaska, live an average of 20 years while males have a shorter lifespan of 15. Why? Not because females are heartier and healthier but one can say the males are more “bullheaded.” Males, called bulls, typically die from brain damage due to all the headbutting when battling for power over the herd. At least this is what the guide at the farm told us. 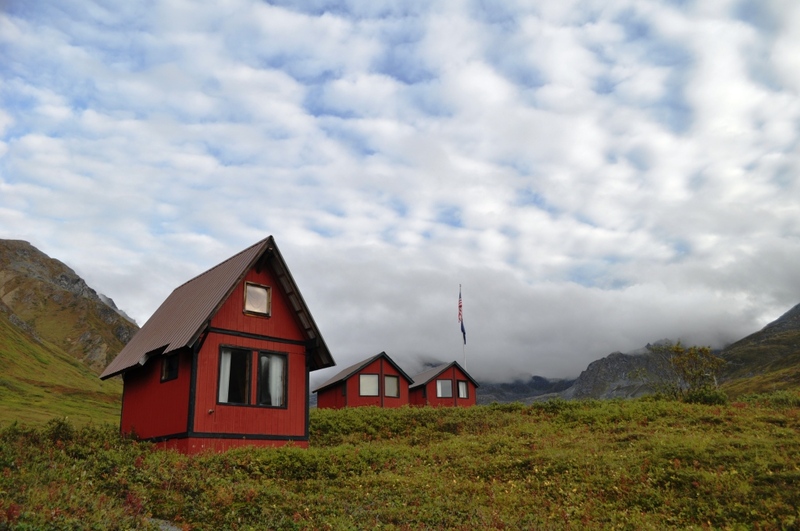 Not sure why I was so fixated on visiting the Musk Ox Farm but it was high on my “must do” list when traveling to Alaska. Perhaps because it’s a living connection to the Ice Age and the beasts are so unique to what I’m familiar. And those horns are so darn cool! 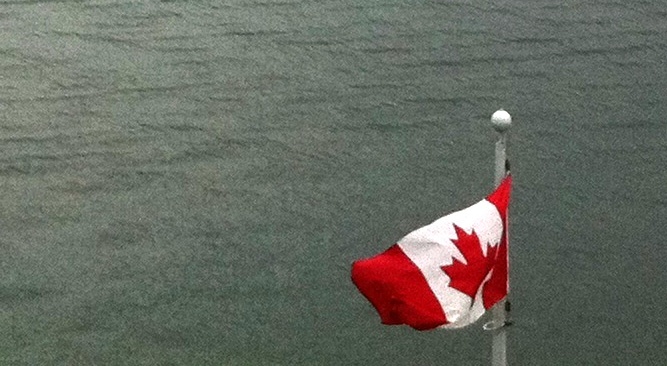 It extends from either side of the head in an upward curve, almost like a Mary Tyler Moore a la Mary Richards hairstyle and both bulls and cows rock the horn. The tour of the Musk Ox Farm was about 30 minutes and going with a guide is the only way to walk out and up to the fences. We saw docile cows, aggressive bulls and adorable little calves munching away on tree branches. Musk ox at the farm are domesticated and their soft qiviut (wool) is harvested with an afro pick. It’s supposed to be warm as wool yet those allergic to sheep’s wool can wear qiviut without a negative reaction. Native Alaskans call musk ox “Oomingmak” which means “The Bearded One.” Interestingly, although they chew their cud, musk ox are not related to the cow but to the goat. 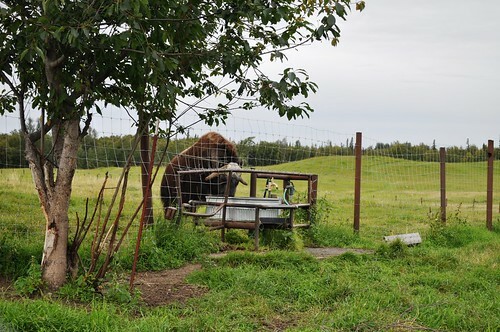 During the visit, one of the musk oxen was dipping its front hooves into its water trough. According to the guide, although the air temperature was in the mid-50s (Fahrenheit), the animal was hot and this was its way of cooling off. Musk ox have sweat glands between their toes so by dipping them in the water, it can cool off. If only it was that easy for humans! 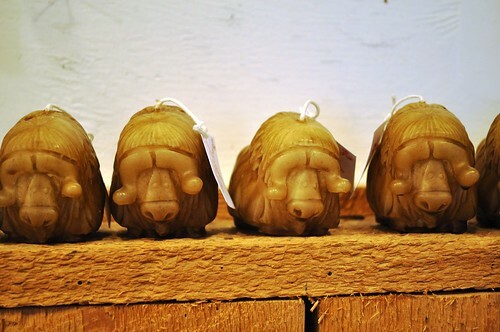 Musk Ox Candles in the Gift Shop - Too Cute! 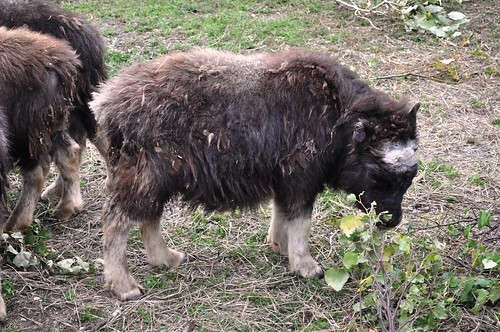 Visitors to the Musk Ox Farm will also learn more about these amazing mammals through various exhibits. Looking for a little warm something? The animals are available for adoption! 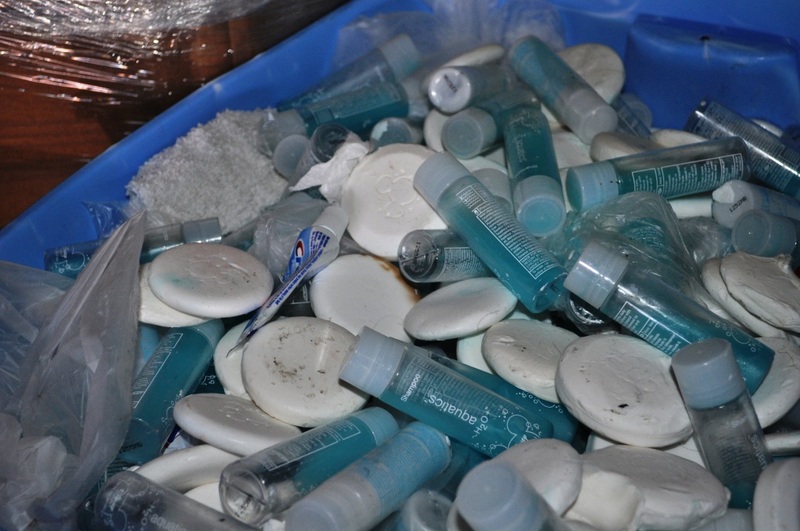 No, you can’t take one home, but you can sponsor one to make sure it lives out a healthy life. During my visit, there were 63 musk ox. The calves are named after themes and the calves we saw were named after state capitals. I was very tempted to adopt “Tallahassee” (after my now home state) but resisted…for now. 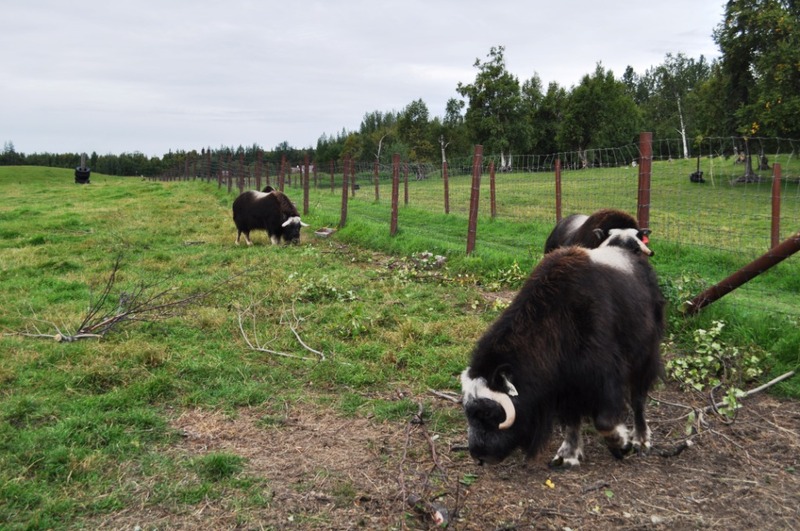 Established more than 60 years ago, the Musk Ox Farm is located about an hour’s drive northeast of Anchorage in Palmer and is open early May through the end of August. 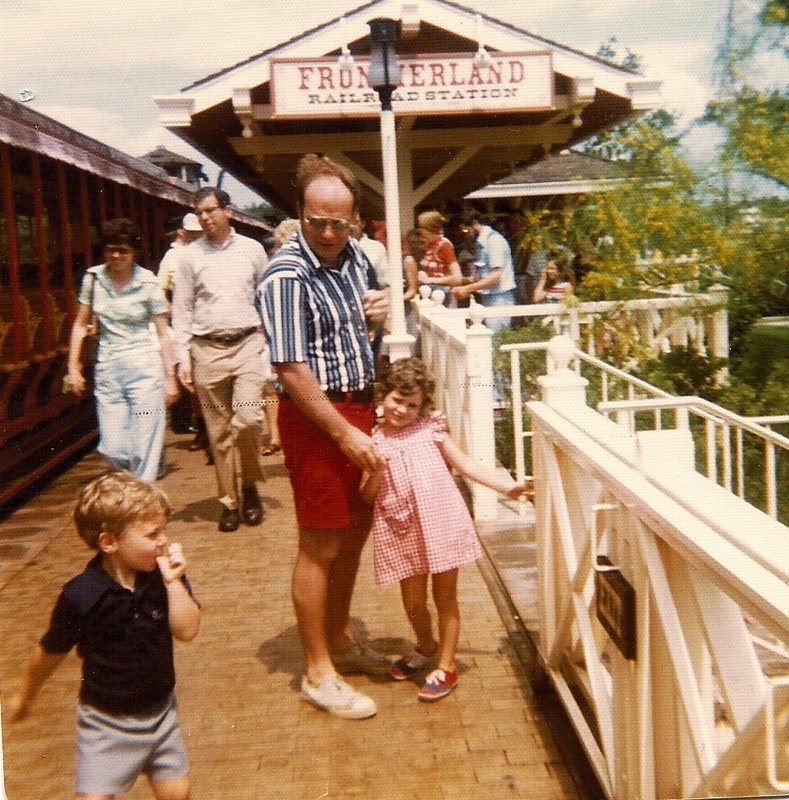 Admission is $9 for adults and discounts are available for seniors and children (2011 prices). Hey, I went to the Walmart and was able to pick up a paper doll book of the certain someone. I sent it to my son today.